Wow it’s been so long since I’ve written a blog post and I’m super sorry that it’s taken FOREVER. I’ve been busy with work, travel and MY NEW YOUTUBE CHANNEL! Yes you heard that right. I am now vlogging!!!!! I’ve been wanting to do it for so long and I finally took the leap of faith and posted my first 3 vlogs!!! Okay. 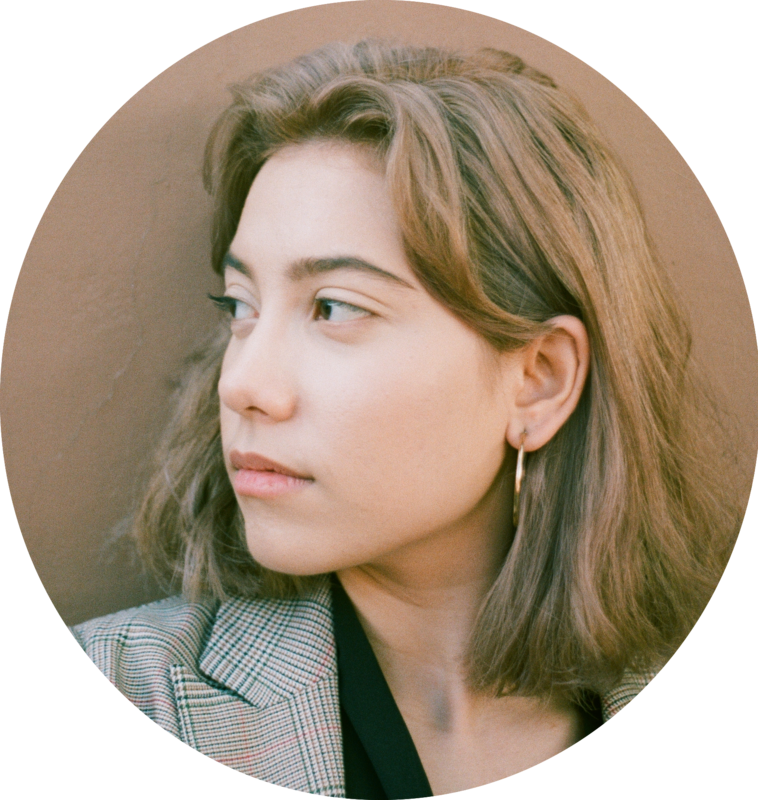 So now that I started vlogging, I won’t be able to update my blog as much as I did before BUUUUUUT rest assured I will still be the same old leadiiinglady – meaning I’ll still post about skincare, makeup, fashion and other things. But instead of writing it, I’ll be talking about it. ANYWAYYYY. Time to talk about my current skincare faves! And they are from The Body Shop. When I first saw these face masks, I was kinda hesitant to buy them because of the price (1K+ for just ONE tub). Yeah, I know, super pricey. And so I decided to do my research first. Turns out, these masks were doing so well!!! 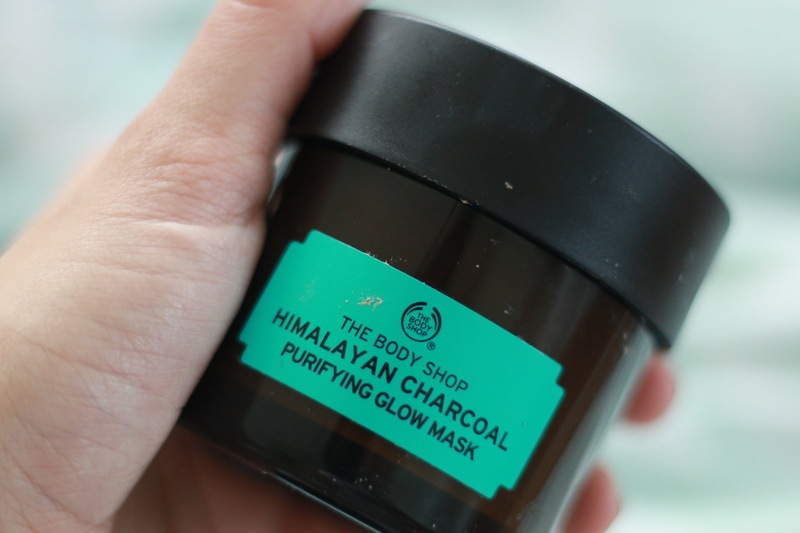 And so when I went to the states, I decided to buy one on my very first day there – The Himalayan Charcoal Purifying Glow Mask. I bought this one first for two reasons: one, because it’s their best seller and two, because I thought that among all these masks, this one suited mine the most. And I was right!!!!!! This mask is perfect for my skin! Quick background – I’m combination but a bit more on the oily side and so my pores get clogged up all the time. And so I needed something that would really clean my pores and purify my skin. This mask aims to do just that. The Himalayan Charcoal works to unclog the pores and deep cleanse the skin to rid it of impurities. If you guys are familiar with skincare, you’d know that clay masks and charcoal masks are holy grails for those with acne and problematic skin – aka ME. Aside from it cleansing my skin, this mask also exfoliates it! After applying the mask and leaving it on for 10 minutes, I would wash it off while rubbing it circles GENTLY on my skin. It would leave my face feeling clean and smooth. Just the way I like it! This is the second mask I got! The ingredient, rice, has always been good to my skin. I just love the feeling and the brightness it gives me. Which is why after enjoying the first mask so much, I had to buy this next! 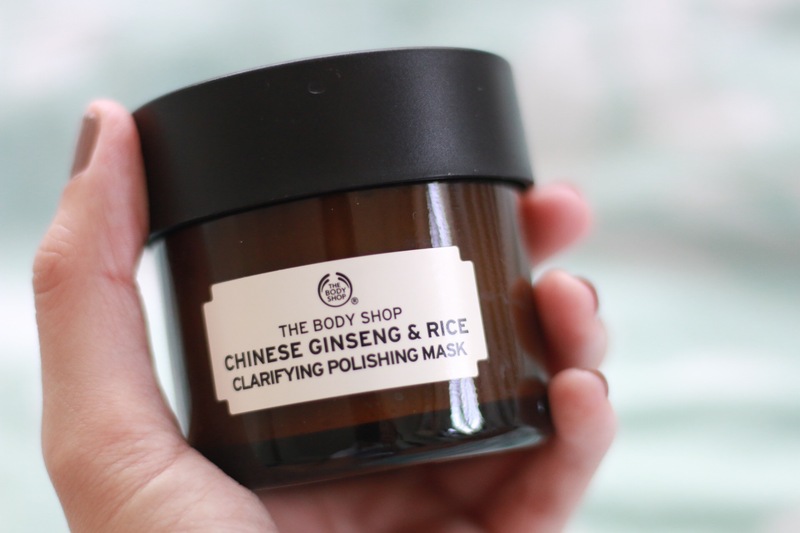 Tbh though, before getting this, I haven’t used the ingredient Ginseng as much but I heard it’s very good for brightening your complexion and caring for dark spots which is why I thought… WHY NOT?! I will be using this mask every week for sure!!! Okay. So this isn’t in the exact same category as the first two. It’s not a wash-off mask. It’s a leave-on mask that you put on before going to bed. But I’m adding it here because it’s another one of my faves. Tea tree oil has always helped me, whether it be in the form of a cleanser, toner or oil. And so when I saw this mask, I had to take a chance and buy it. I tried it that night and I was not disappointed. Tea tree is great for those of you with troubled skin because it helps clear the imperfections as well as get rid of bacteria and soothe your skin. When I used this, I woke up to skin that wasn’t red at all. Usually my skin gets red but the redness wasn’t there. My skin didn’t feel irritated or look too oily. In fact, my skin looked good. And so if you have problematic skin like me and you’re looking for a night mask, this could be the one for you! 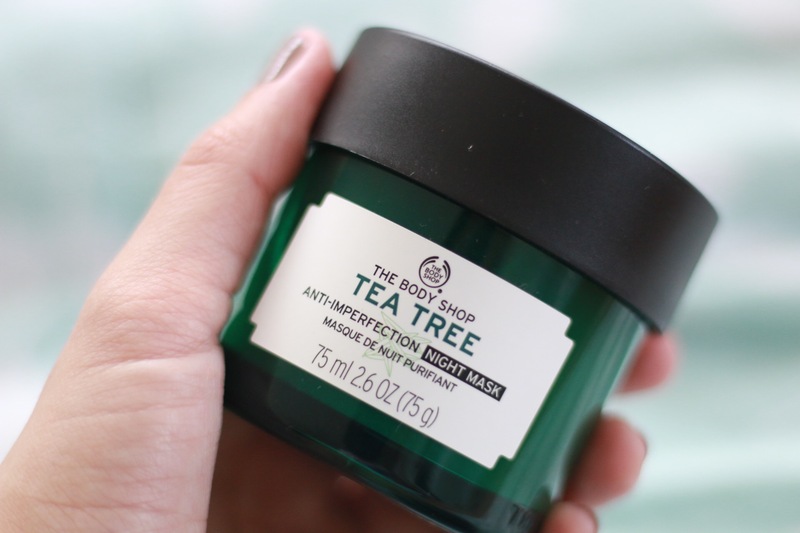 I really salute The Body Shop for their Tea Tree line because everything is just amazing – from their masks down to their tiny Tea Tree Oil bottles. And so go go go guys! I know this was a short review but I hope this helped you guys out!!! If you guys are thinking about buying these masks, go for it! Remember, you don’t need to buy them all at once. Buy one first and take your time. Don’t forget to do a patch test just in case! For now, you can check out my latest vlog here! Disclaimer: These are my personal opinions! Individual results may vary!